B P Equities Securities expansion into the different parts of the country, over 30 offices have been set up, serving over 25000 customers, located at different locations with more than 1000 workstation. In this article, it is discussed about BP Equities Sub Broker, franchise, Authorized Person and Partner Review. A fully computerized back office system supports the brokering operations. BP Equities Sub Broker has rated average Customer Ratings. They are rated 2.4 out of 5 on the basis of Experience, Services, and Support etc. But they can still improve a few areas like Trading Platforms and Security Deposit will improve the rating. In 1997, BP Equities Securities was established as a company by Yuvraj A. Thakkar. BP Equities has its Headquarter in Mumbai, Maharashtra. BP Equities is Full-Service Broker. The BP Group has a strong research department under its supervision by professionally qualified analysts supported by other back office staff. The BP Group also publishes a regular newsletter for its customers. 200 team members assisting him in all the operations of the organization. It takes 30 days for SB Code Activation and 31 Days for Payout. BP Equities Sub Broker has a business model to expand their business and also enable others to be their business partners. BP Equities will charge you a nominal fee and will make you a sub broker. The sub-broker agreement is a tripartite agreement between the stockbroker, sub-broker and the client. All sub-brokers are required to register with SEBI thereby calling for direct regulation. Remisier is a stock broking company agent and receives a commission for every transaction processed. Any losses arising from any securities transaction that is transacted through the stockbroking company are the duty of Remisier. Find below table to know BP Equities Franchise Commission Models and Revenue Sharing Models. 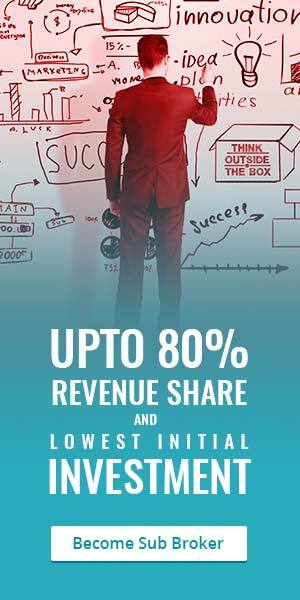 For Sub Broker it is required to revenue sharing of a minimum 70% to 80% depends on the client base. To become a business partner as Remisier it is required to have revenue sharing of a flat 25%. The Franchise Cost or the Security deposit you have to take franchise ownership or sub brokership of BP Equities is elaborated here. And for joining the business with BP Equities as Sub Broker it is obligatory to deposit minimum Rs. 50,000 to Rs. 200,000 depending on the customer base, both the minimum and maximum range of the initial deposit can be negotiated. Remisier has to deposit Rs 25000, Remisier has to keep this amount as a security deposit to start and carry on. The BP Equities Share Franchise infrastructure requirement is as detailed below. Office Area premises Minimum of 150 Sq Ft is mandatory. Employees are not mandatory in the office. Internet Connection with high speed and Telephone Lines is mandatory for in the office. Low investment or zero deposit for the sub brokers is allowed. Rs. 10,000 initial deposit is not required. BP Equities has the team which provides technical and fundamental analysis, by studying both Indian as well as International market trends. Sharing with prepaid with Zero Revenue is allowed. Expert advice is available for the clients of the sub brokers. They allow flexible Revenue Sharing with clients. Provide research by technical and fundamental analysis studying. Provide multiple types of charts, technical indicators and heat maps for analysis. The broking operations are supported by a totally computerized back office system. They provide business opportunity to others by providing a trading terminal. BP Equities offer Marketing Support and back-office support to expand the business of the franchise. BP Equities provide Trading Support and also Dealing Training. As per the table, BP Equities Franchise Brokerage Charges to Clients are average. Brokerage Charges for Equity Delivery are between 0.1% – 0.2%. Charges for Equity Intraday are between 0.01% – 0.02%. Brokerage Charges for Equity Futures are between 0.01% – 0.02%. Brokerage charges for Currency Futures are between Rs. 7 – Rs. 10 per Lot. Charges for Equity Options are between Rs. 10 – Rs. 20 per Lot. Currency Options are between Rs. 7 – Rs. 10 per Lot. The BP Equities, Demat Account opening charges are required Rs. 300 per annum for the clients for opening the Demat Account. Charges to open accounts are as high as Rs. 300. The transaction charges are 0.00290%. The minimum margin amount that the client has to maintain is Rs. 1,000. It presents multiple values to its clients through its focus on technology with its mobile apps, wide offline presence, multiple brokerage plans and so on. Safe and comfortable migration of businesses and customers. Full-bodied infrastructure with back – office & risk management systems. BP Equities main focus is on medium to heavy duty traders who are entitled to receive their regular income through recurring brokerage charges.